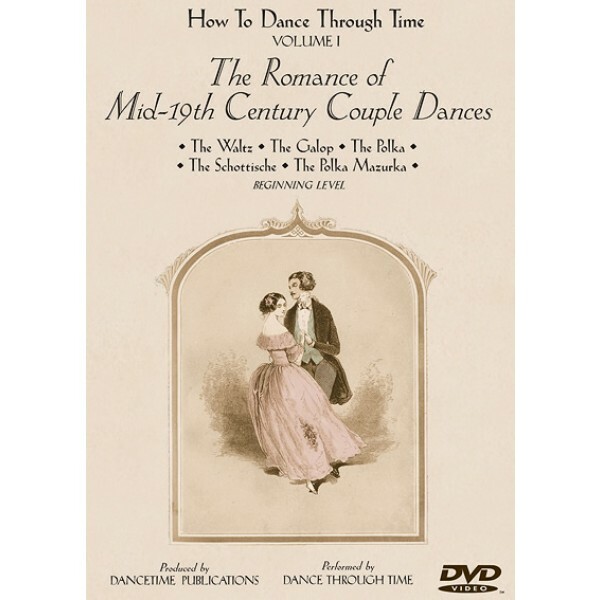 The first volume of How To Dance Through Time leads beginners through the five ballroom dances that were the touchstones of mid-1800s society. Learn couple dances like the Waltz, Galop, Polka, Schottische, and Polka Mazurka; each segment is entertaining and straightforward.Follow along with the instructions, and you’ll quickly learn the steps and positions of these basic romantic dances.How to Dance Through Time, Volume I gives clear and repeated “how to” instructions to teach viewers the five dances that were essential for anyone attending a mid-19th century ball. These dances drew couples closer together as they spun through Waltzes or chassed down the room in a Galop (Gallop). 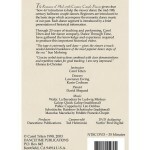 For the first time, dance partners held each other in a face-to-face embrace as they turned and swirled around the ballroom.Most people who buy this DVD also buy the Companion CD. When you’ve mastered the steps of the Waltz, Polka, Galop, and Mazurka, move on to learn the embellishments that enriched these dances in the Victorian Era on How to Dance Through Time: Volume V, Victorian Era Couple Dances. With 40 years of experience teaching and performing dance, Carol Téten provides context and gives simple instructions to dance beginners. Professional dancers demonstrate, following her lead. 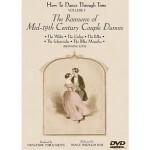 As with all videos in the How to Dance Through Time series, the dances in Volume I are introduced with a concise, historical overview and illustrated with authentic photographs and drawings. The steps were carefully researched from period manuscripts and are accurate representations of historical dance. Close up and slow motion views make learning the moves simple and fun.